Filamentous Algae is found commonly in water bodies worldwide. Commonly referred to as "moss" or just plain "pond scum". This algae type begins its growth along the shallow edges or bottom of the pond or lakeshore and mushrooms to the surface forming mats buoyed by oxygen it has produced. They exhibit no true leaves, stems or root systems. Thousands of species have been identified. The texture of these growths may be slimy, cottony or coarse. Forms may include thread like hairs or fury looking blobs to thick mats covering the entire pond. Algae can easily attach it self to rocks, dock legs and boat hulls. Q. What are the best control options? Cutrine Plus liquid is our #1 recommendation. Cutrine Plus liquid is a chelated copper compound that remains available longer to control algae then non-chelated copper compounds. Cutrine Plus liquid algaecide is remarkably effective on filamentous (Mat forming) aquatic algae types. There are no water use restrictions. Cutrine Plus granular is also an effective algaecide. Some people prefer the easy to use granular formulation. Granular should be applied before dense mats have formed. Copper sulfate is also effective but because it ships HazMat the additional shipping fees for small orders can be prohibitive. Larger orders of approximately 8 plus bags (400 lbs.) can be shipped economically. Call for bulk pricing. Q. When is the best time to treat? Treat when early signs of algae appear if possible. You can generally use lower label dose rates when algae mass is less. Q. How do I actually apply the product(s)? 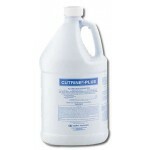 You can easily apply Cutrine Plus liquid with a handheld pump-up or backpack sprayer. Apply Cutrine Plus as evenly as possible over the treatment area. Contact as much surface algae mats as possible. Subsurface algae will be controlled as Cutrine Plus moves throughout the water column or Cutrine granular can also be applied by hand scoop or hand spreader. Q. How often do I need to treat ? Several total or spot treatments may be required to maintain control for the season. Good results should be anticipated. Q. How long before I see results? Some algae types will succumb within a few days others may take up to twelve days. Heavy growth may require a follow up (about a week later) treatment. 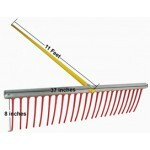 Treating before dense matting occurs will be more cost effective yielding longer terms results. Pond Weed & Lake Service.